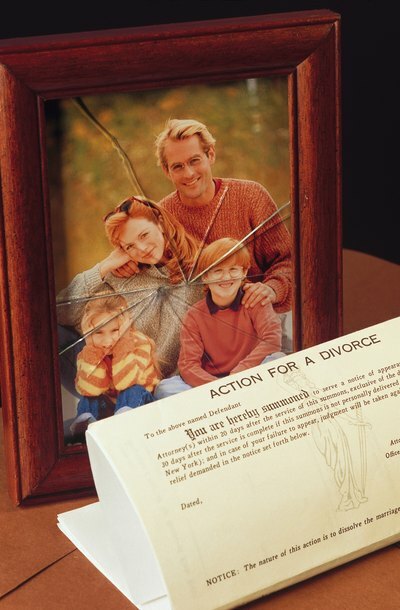 Every divorce presents unique issues to be resolved by agreement of the parties or by the court. In California, money damage awards related to personal injuries are subject to special rules and treatment by judges. Although most types of property acquired during the marriage are divided evenly between spouses upon divorce, personal injury awards are almost always awarded in full to the injured spouse. However, a judge does have discretion to award up to 50 percent of the damages to the non-injured spouse if justice requires. California is a community property state. This means that a judge is required to divide all marital property evenly between spouses. Marital property, known as community property, generally includes all property acquired during the marriage, but does not include property bequeathed to one spouse individually by inheritance or gift. Property not considered community property is referred to as separate property and is not subject to division. In California, personal injury awards payable to one spouse are generally considered community property if the cause of action arose during the marriage. However, personal injury awards are considered separate property if the cause of action arose while the spouses were living separate and apart or after a judgment of dissolution of marriage. Although personal injury awards based on a cause of action arising during the marriage are considered community property, judges are not required to divide the award evenly between spouses. Special rules apply in these instances and a judge has the discretion to take into account the economic conditions and specific needs of the parties. Thus, a portion of the award could go to the non-injured spouse, if justice requires, or wholly to the injured spouse. Despite judges having discretion over how to distribute a personal injury award in California, more often than not the award is granted to the injured spouse in its entirety. In fact, California courts have interpreted the law regarding personal injury awards as an exception to the community property rule. While damages of this type are technically considered community property, they are to be treated as separate property upon divorce and divided between spouses only in extreme cases of injustice. Even in such instances, a judge is not allowed to award more than 50 percent of damages to the non-injured spouse. California Legislative Information: California Family Code: Section 771. California Legislative Information: California Family Code: Section 780. California Legislative Information: California Family Code: Section 2603(b). In re Marriage of Morris, 139 Cal. App. 3d 823 (1983).